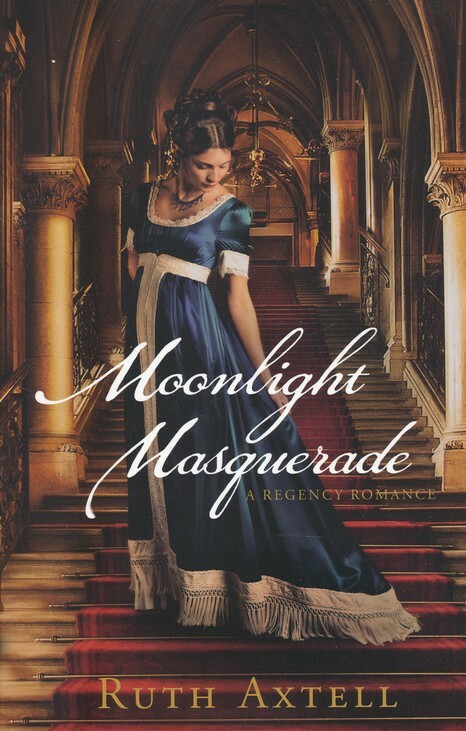 Pampered Margaret Macy flees London in disguise to escape pressure to marry a dishonorable man. With no money and nowhere else to go, she takes a position as a housemaid in the home of Nathaniel Upchurch, a suitor she once rejected in hopes of winning his dashing brother. Praying no one will recognize her, Margaret fumbles through the first real work of her life. If she can last until her next birthday, she will gain an inheritance from a spinster aunt–and sweet independence. 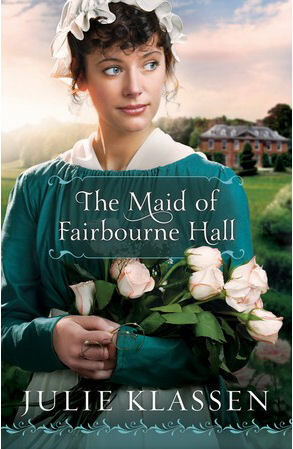 But can she remain hidden as a servant even when prying eyes visit Fairbourne Hall? Julie Klassen has done it again. 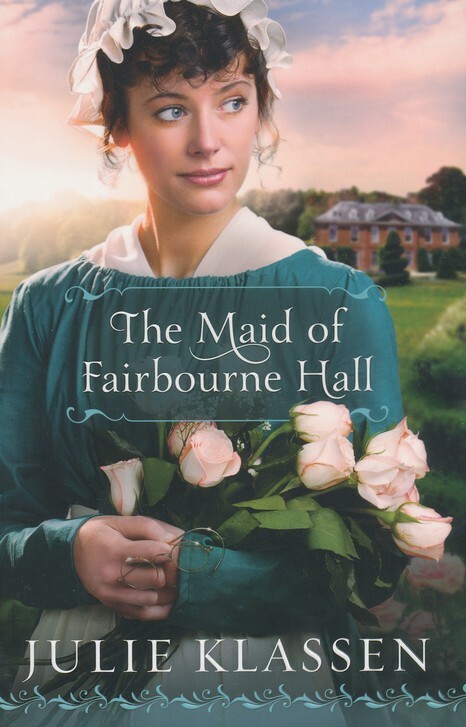 Her latest novel, The Maid of Fairbourne Hall, kept me turning page after page … getting nothing else accomplished until I had the whole thing read. It was absolutely captivating. I felt that every detail of her 19th century English setting was absolutely real and believable as a reader. The author was very good at creating believable circumstances for an aristocrat to find a means of hiding as a servant. This was no easy feat for her heroine, as Margaret had to learn many tasks on the job – having always had her own servants to do everything for her in the past. Additionally, there were elements of intrigue, mystery and suspense that kept the story’s pace moving quickly – and kept me glued until I had read it all apparently! I always love it when a publisher has gone to great lengths to get the details about a character right on the cover design. In this case, we have photos of a woman wearing both a maid uniform, wig, and spectacles … and another photo (on the back cover) of the same woman without the wig and a fine dress. These photos were obviously carefully thought out by the cover designer to capture the feel of the story, and its main character. No generic stock photography here! 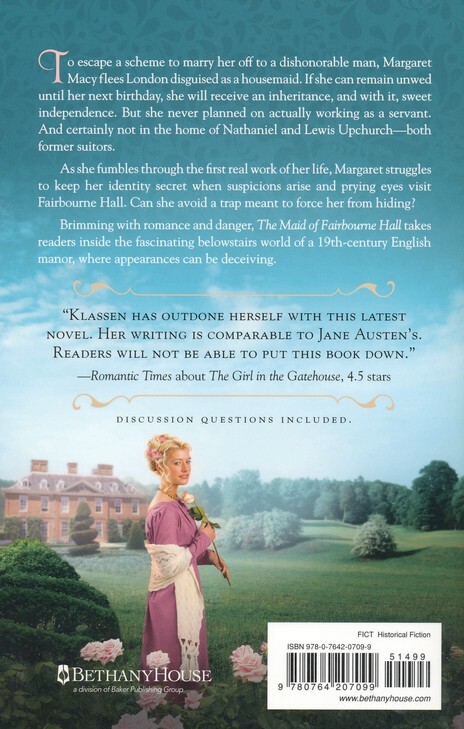 The background of a fine 19th century manicured grounds and manor also add to the appeal of this novel as a historical of the regency period. 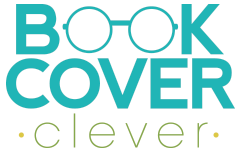 The designer’s decision to add small touches of curling embellishments and spot varnish also add to the sense of fine quality this cover exudes to the potential reader. 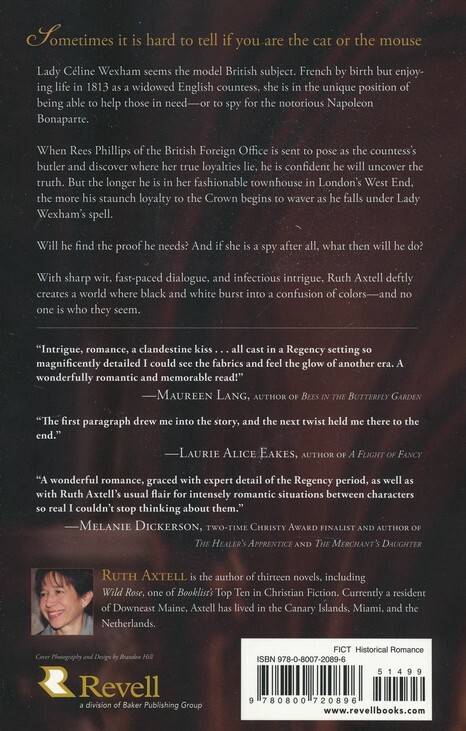 The spine carries this through, and features the same elements from the front cover that will attract readers of regency historicals even if only the spine is showing. The only negative comment I have is regarding the novel’s title placement. The designer has had to add a dark translucent area to make it readable against the cover model and flowers she is holding. It’s not a bad way to handle it, but it just feels like it gets lost a little and could have been handled in a way that made it balance, or stand out a little more than the current treatment – something with a solid shape or background that wouldn’t overly hide the elements beneath it, but would still attract attention to the title. Still, despite that this is easily readable and I believe it to be a cover that will successfully attract the right readers to pick it up, even if they aren’t familiar with the author previously. * This novel was received for review through the Christian Fiction Blog Alliance under no guarantee of a positive review. 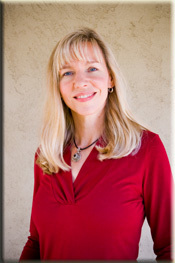 Julie worked in publishing for sixteen years (first in advertising, then as a fiction editor) and now writes full time. Two of her books, The Girl in the Gatehouse and The Silent Governess won the Christy Award for Historical Romance. The Girl in the Gatehouse also won a Midwest Book Award and The Silent Governess was a finalist in Romance Writers of America’s RITA awards. Observing both brothers as an “invisible” servant, Margaret learns she may have misjudged Nathaniel. Is it too late to rekindle his admiration? And when one of the family is nearly killed, Margaret alone discovers who was responsible. Should she come forward, even at the risk of her reputation and perhaps her life? And can she avoid an obvious trap meant to force her from hiding?